It's May, that time of year when we're all reminded to appreciate our mothers. Luckily, in my case, that isn't difficult. Mom and I have always been close, and I find a lot to appreciate about her. It might even be her fault that I'm a writer. I really wish I had a picture that captured our "Ethel Merman" moments. One time, Mom and I were traveling together, and we were in a swimming pool cooling off at our hotel. We were both exhausted and a little punchy from a long day on the road. My mom is not a good swimmer. In fact, she never puts her head or face in the water. So I was trying to tease her about her water moves. I said, "You're no Ethel Merman." (I meant Esther Williams; we're both old movie fans). 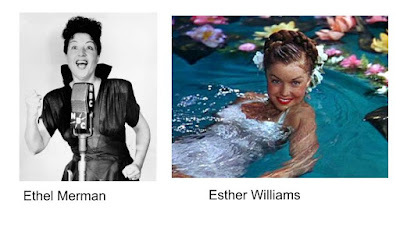 I know this is one of those "you had to be there" things, but the idea of mixing up Ethel Merman, known for her big voice and personality with Esther Williams, known for her delicate water ballet cracked us both up. In fact, we laughed till we cried. Ever since then, when we make each other laugh till we cry (which happens on average, once per visit), we call it having an "Ethel Merman Moment." I've always been a reader. Heck, I think I was a reader before I could read. 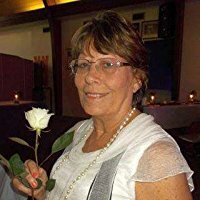 I'd cajole my mother into reading books to me over and over until I had them memorized, including which words were on which pages. I'd build houses out of my books and sit inside them and read other books. As an adult, I still read a lot, but of course, it's not as much as I did back then. There are other demands on my time, and, here in the twenty-first century, I have so many choices for how to spend my limited leisure hours, that I sometimes don't choose books, but play video games, listen to podcasts, or watch TV and movies on a streaming service instead. All of these feed the part of my brain that wants story, too. 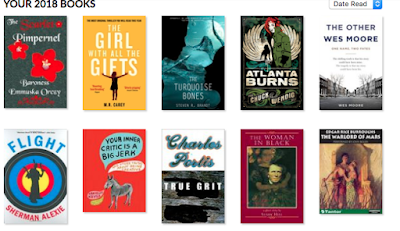 I'm finding that I go through phases where I'm not reading much at all, where I seem to grow persnickety and hard to please and start books only to abandon them, wandering off in a moment of inattention. 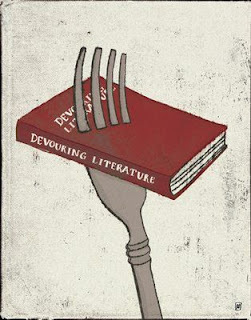 It's not necessarily that there's anything wrong with those books, either. It's more about where I am in my brain at the time. I do think that loving a book is partly an accident of timing: finding that book at the right time for you to read it. I hate those times, though. I feel nearly as broken when I can't read as I do when I can't write. So, I'm delighted to be going through a book devouring phase right now. 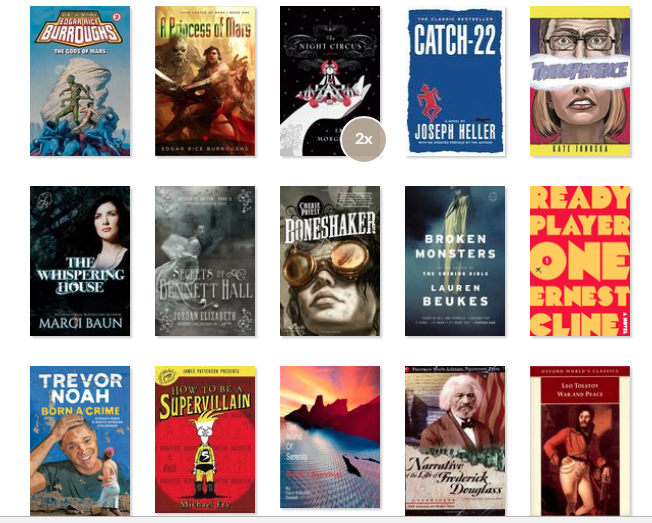 I set a yearly goal of 52 books, one per week. 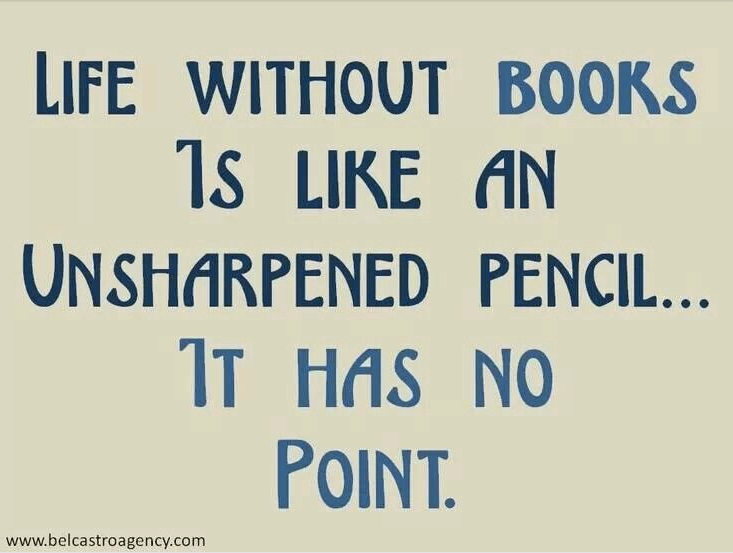 A lot of years that's almost too much, especially if I choose any lengthy or challenging books. But this year, I'm already 8 books ahead. Part of that is because I've been choosing some shorter, lighter works here lately, craving my escape in a big way. 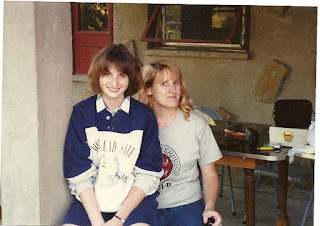 The pressures of the end of the school year and getting my house and heart ready to face my daughter's graduation from high school are intense. Losing myself in imaginary lives and imaginary problems is my kind of self-medication for high stress times. The Girl With All the Gifts by M.R. Carey: a tour du force when it comes to voice and pacing. I was intrigued by Melanie from the get-go. Carey meted out strange details at just the right times to keep me from ever getting bored as I figured out the world the story was taking place in. True Grit by Charles Portis: another fantastic example of what a unique character voice can do for a story. Mattie Ross is one of a kind, for sure. A fiercely independent and determined person with a black and white personal morality that is her north star. The Woman in Black by Susan Hill. A traditional gothic ghost story in a lot of ways, but turned on its ear by having the victim of the ghost be a young Englishman instead of a wide-eyes young female ingenue. Broken Monsters by Lauren Beukes. A brutal and beautiful story of a serial killers, his victims, and the police officer who is on his trail. Hmmmm . . . .looks like voice is key to getting in to my reading good graces this year. All four of those books are amazing character-driven pieces with unusual voices. Really, I've had great luck with my reading choices this year. Hardly a dud among them. How about you? Read anything good lately? Anything that *really* grabbed and held you? I'd love to hear about it in the comments. I'm in a slow period at the moment, so far as writer productivity. But I can see relief on the horizon. It's only a month or so now until school breaks for summer and I can be a full time writer for a few blessed weeks. 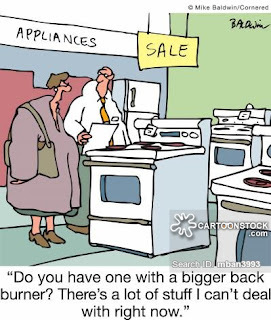 In the meantime, I'm letting a few projects simmer on the back burner, hoping to turn them into something yummy to read in the next few months. My main project, a young adult dystopian romance (working title Thursday's Children) has been moved to the slowcooker so that it keeps warm even though I don't have enough mental energy to finish it right now. It's about two thirds written, but it's patchwork. It has a beginning and a late middle, but no early middle and no ending. To make sure it doesn't go stale on me, I stir the pot at least weekly, revising an old scene or working on a new one. I'm feeling good about finishing in that first month after school ends. On the back burner though are a BUNCH of other projects and I'm enjoying trying to decide what to work on next (as soon as I finish Thursday's Children). Cold Spring is book one of a historical fiction trilogy. I still love Lena and Freda, the sisters at the center of the story, but finishing their story is going to require a LOT of research if I'm to do it justice. I feel solid in the first of the planned three books, but I'm holding off doing anything with it (as in seeking publication) until I've written all of it. That could end up being work that spreads out over the next decade or so. Rat Jones and the Lacrosse Zombies, a NaNoWriMo project from a couple of years back, wants to be a middle grades or young adult novel about bullying and witchcraft. 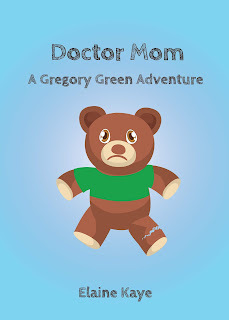 I've got a full draft of that one, but I think it's needs restructuring and to remember that it's a kids' book. His Other Mother, the first novel I ever finished writing, is percolating back there, too. I'd really like to give it a once-over, now that I know more about writing and structure than I did back then. It's issues-driven women's fiction, and I still think it's a powerful story that could find a publishing home with another comb through to smooth out tangles and snags. A few short stories are pulling at me as well. "The H.O.A." will fit into a collection I've been working on called Shadowhill, which are all weird tales that take place in a suburban subdivision suspiciously like the one I live in. A few of those stories have been published, and I'd love to collect them into a single publication. Another one from that collection, "Suburban Blight" is begging me to turn it into a novel, but I keep telling it to wait its turn. Two other short stories are jumping up and down in the background, too, one called "Frankenstein in Savoonga" and another called "Another Turn of the Screw," each riffing on the classic literature they reference. Oh yeah, there's also that suffragette story I started at a writing workshop that I've been promising myself I'd finish: "Tiger Lily." The fourth and fifth books in the Menopausal Superhero series await my attention, but I think they're going to wait for 2019. Taking 2018 to write other things has been rejuvenating so far, and I want to keep letting that energy build. Of course, there's a new novel idea tugging on my skirt hem, too, this one a gothic mystery novel, featuring a female architect named Devon. She's persistent about wanting her story told, and I've been dying to write a gothic novel since I was about nine years old. If I can write even a third of this stuff this summer, I'll feel like a powerhouse. How about you? Got anything on your back burners you're anxious to get back to? 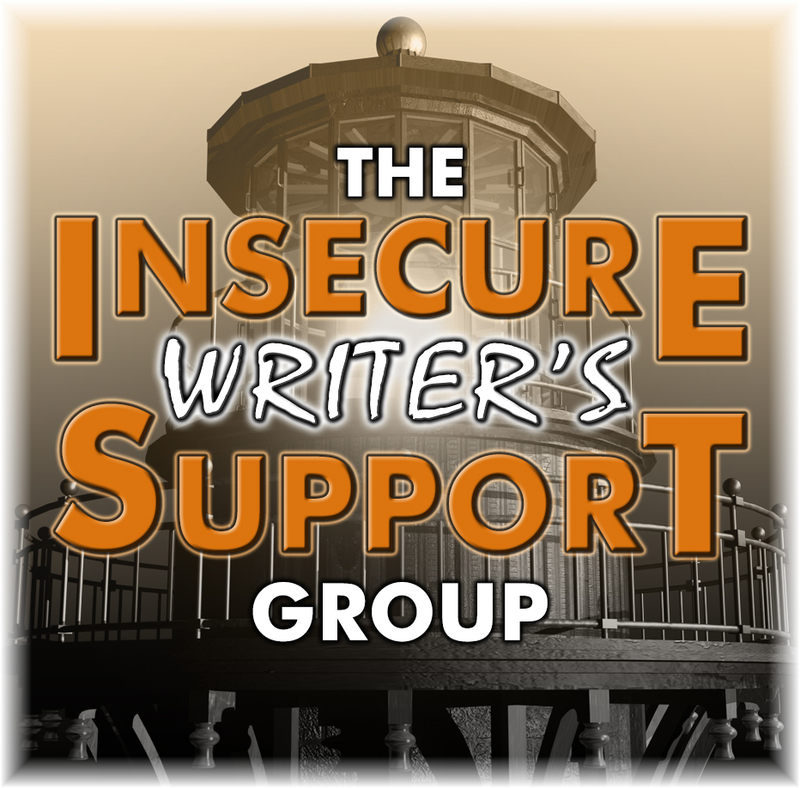 It's the first Wednesday again, which means it's time for the Insecure Writer's Support Group blog hop. The May 3 question - It’s spring! 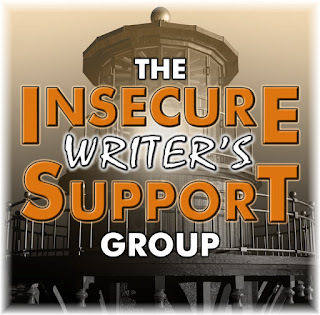 Does this season inspire you to write more than others, or not? Be sure to check out our awesome hosts after you see what I have to say: The co-hosts today are E.M.A. Timar,J. Q. Rose,C.Lee McKenzie, and Raimey Gallant! Normally, I'm all about spring. Flowers, sunshine, rebirth, love. I usually shake off the doldrums of winter, get out there in the world and get things done. It's traditionally been my favorite time of year, with birthday celebrations, book launches, and outdoor time. My spring done spring, ya'll. I'm stretched out and thin. For my writing life, I find I have very little energy. It's frustrating, but I'm trusting that it's a cyclical ebb and flow thing and that the balance will come back. I'm a terrible patient, and this is a lot like being sick: accepting limited options for a while. Its just one of those times when "life" demands more of my focus. I've got a girl getting ready to graduate high school, another about to transition to middle school, I had the flu in March and have felt behind on things ever since, my allergies are in full bloom, it's the last push of the school year and my middle schoolers have spring fever and tensions are high among them. But I'll keep on keeping on, like you do. At least some of my old work is paying off. 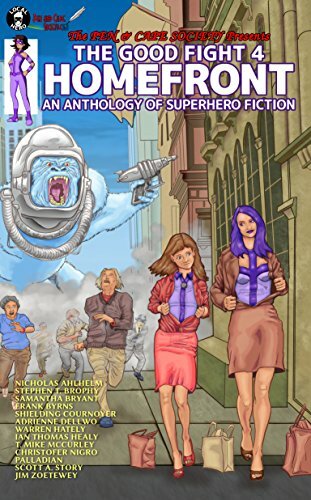 A new Menopausal Superheroes story released yesterday, as part of a multi-author anthology. Here's hoping I get some bounce back in my spring soon. How's yours going?